It gets cold in the city of Zlatoust in Russia. Like, really cold. In fact, the temperature recently plunged to a bone-chilling -31 Fahrenheit one night when a stray cat decided to take shelter under the car of a couple, Yelena and Sergey Baranov. 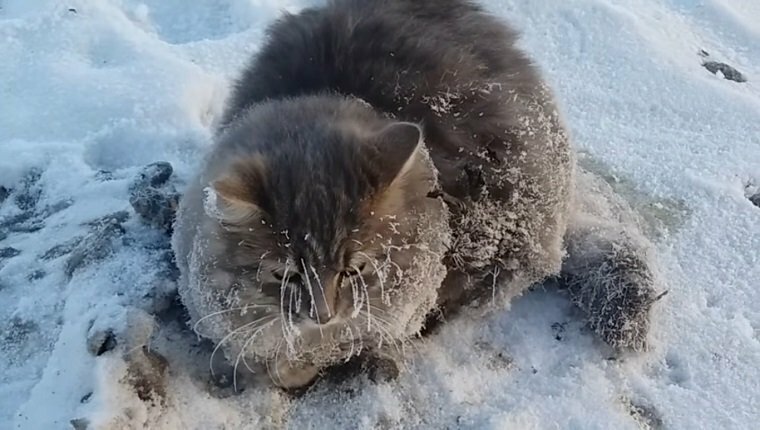 The cat was warm enough for the night to get some sleep, but when he woke up, he found his paws were frozen to the ground and packed in by hard snow. The Baranovs spotted the cat under their car and knew they had to help. The cat was shivering and had ice on his whiskers as Sergey tried to comfort him while Yelena ran into the house and brought buckets of warm water out to free the kitty’s paws. Finally, after seven buckets of warm water, the cat’s paws were freed. 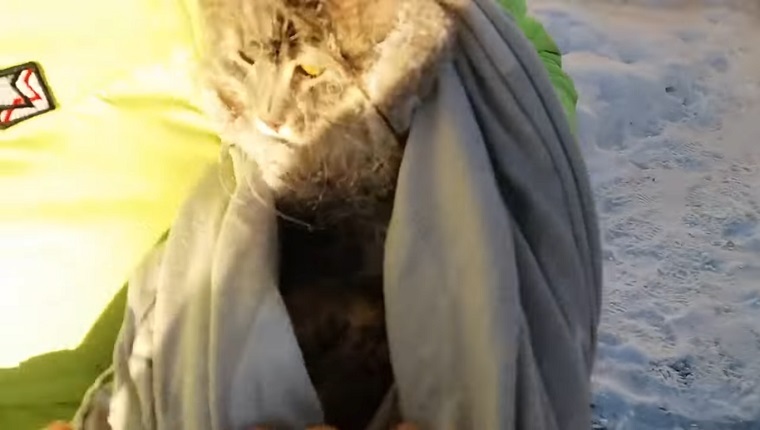 The couple wrapped the cat in a warm blanket and called a vet, who made a house visit. He was still having difficulty moving his paws, so the vet gave the cat an anti-inflammatory injection. Later that night, the cat was able to walk on his own again. The Baranovs posted an adoption announcement, and a woman nearby took the cat in. Now he’s doing just fine, and he’s happy and warm in his new forever home. Thanks to the quick actions and concern shown by Sergey and Yelena, he’s going to live a normal, happy cat life snoozing in a heated house. 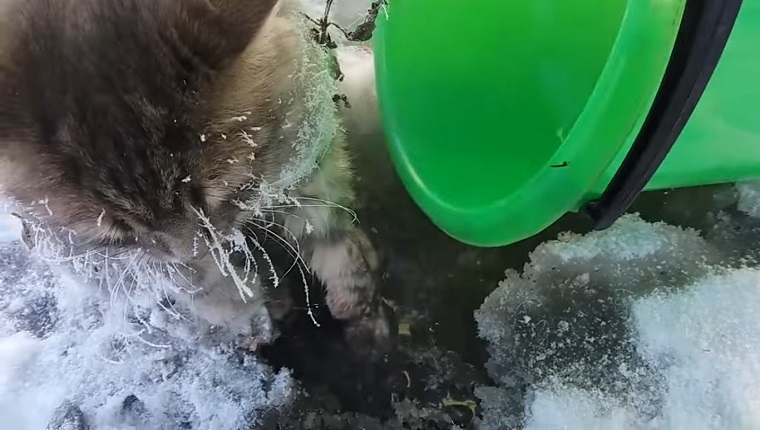 What would you do if you saw a cat frozen to the ground? Are you happy that the Baranovs’ quick-thinking saved this kitty? Let us know in the comments below!